If you don’t need the tour package or local guide, you just need only car transfer from Danang or Hoi An to the beautiful site of My Son. We are happy to offer you the car transfer service with English speaking drivers. With private car transfer, you can choose your departure time, duration for each stop and flexible stops for photos along the way. 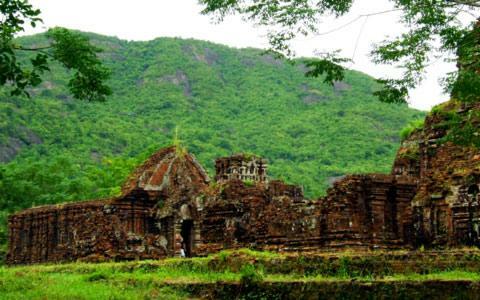 My Son holy land, located 69km to the southwest of Da Nang city and about 10km from the historic town of Tra Kieu, is a large complex of religious monuments in the ancient kingdom of Champa. From the 4th to the 14th century A.D, My Son served as the site of religious ceremony for kings of Champa dynasty as well as the burial place for Cham monarchs. It is often compared with other India-influenced sites in South East Asia such as Angkor Wat in Cambodia, Borobodur of Java in Indonesia, Bagan in Myanmar and Ayutthaya in Thailand. Through the remnants located in My Son, scientists have proved it to be the most significant holy land of Cham people over centuries. It is of great value not only in religion but in architecture also. As the worship ceremony center of Champa reigns lasting constantly from the late 4th century to the 13th century, My Son represents the longest period of development of any monuments for religious purposes in Southeast Asia. Besides, My Son sanctuary is truly a vivid proof reflecting Cham-style architecture which is much influenced by India style. There are more than 70 works including towers and temples connected by red bricks, which were built in various architectural styles in different dynasty. However, towers still share common features. Each consists of three parts: the base, the body and the top successively symbolizing the world of human beings, the world of spirits and the things closely attached with spirits and human. Honorably recognized by UNESCO as a world heritage site in 1999, My Son is captivating in various cultural values as an example of evolution and change in culture and as an evidence of an Asian civilization which is now extinct. Since a number of towers were ruined during the American war, Vietnamese and foreign architects now are making every effort to restore as much as possible of the remnants. 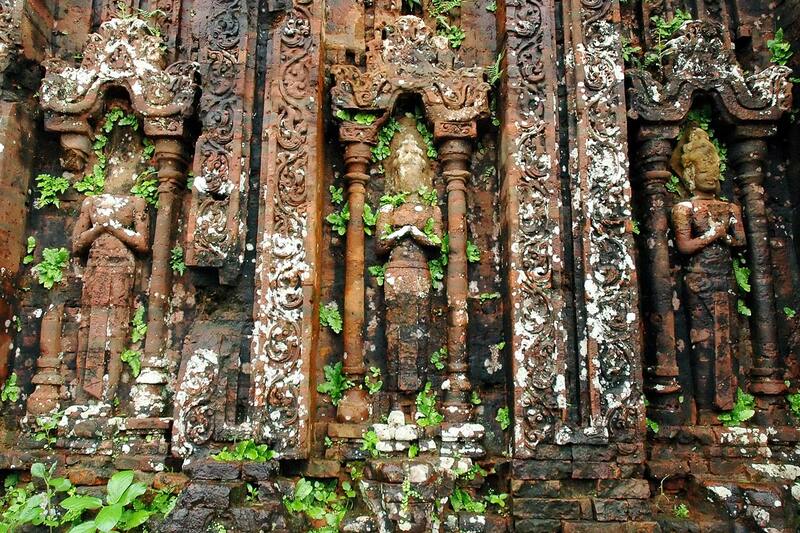 Though there are not many left, the remaining sculptural and architectural works still reflect the style of art, history, culture of the Cham nationality.